These utilities are very small, free and easy-to-use. 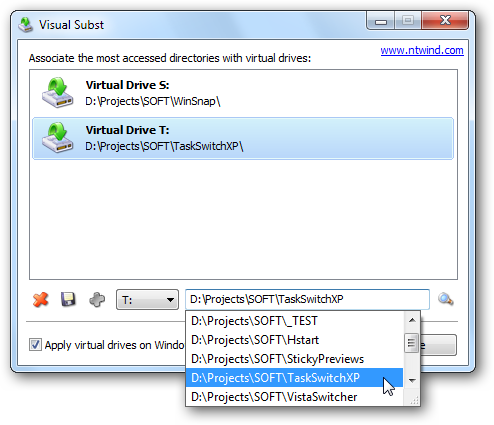 Most of them do not require any installation and are provided in the form of a ZIP archive. If you have any questions, feel free to contact us. 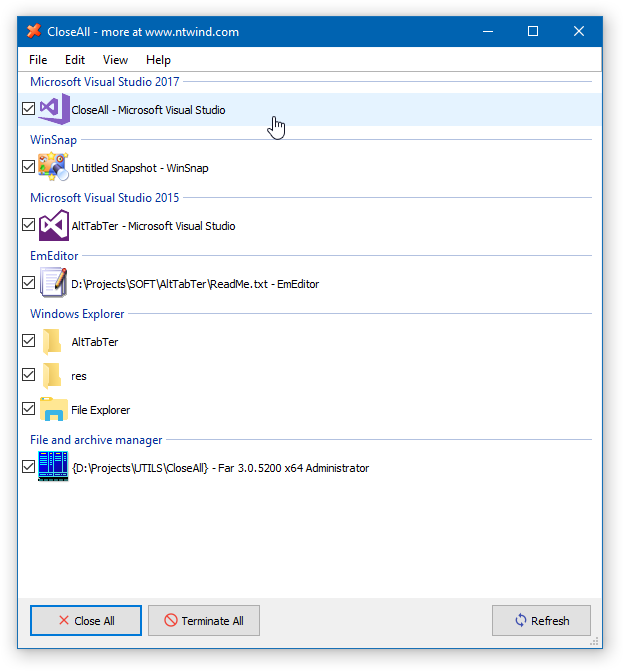 CloseAll lets you close all running applications with just a single click. It doesn’t use any system resources at all and unloads right after completing its task. 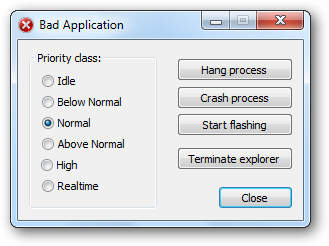 CloseAll simply flashes a ‘close’ signal to all open applications on the desktop and then ceases.